Tooth sensitivity, also referred to as dentin hypersensitivity, is a very common occurrence that is estimated to affect half of the population at least once. When drinking or eating hot, cold, sweet, and acidic foods or drinks, teeth can feel sensitive or even painful. Tooth sensitivity is often the result of dentin becoming exposed due to receding gums or periodontal disease. Other common causes include aggressive brushing techniques, abrasive toothpastes, diet high in acids, and certain health conditions, like bulimia. It is extremely possible for patients to minimize the chance of developing tooth sensitivity by practicing good oral hygiene. 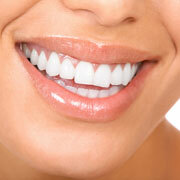 Brushing with low abrasive toothpaste and flossing is the best method of reducing the risk. After tooth sensitivity becomes a problem though, it is important to not ignore it because it is not uncommon for sensitivity to be the precursor of other dental health issues. This is especially true if the pain heeds in brushing properly, thus making the patient more at risk for cavities and gum disease. When you first notice the signs of sensitivity after consuming hot, cold, sweet, or acidic foods and drinks, it is important to consult with a dentist or dental hygienist. We encourage you to contact our dentist in Torrance to receive a comprehensive checkup and determine the best course of treatment for your tooth sensitivity. Brush-on fluoride gels, fluoride rinses, de-sensitizing toothpaste, fluoride vanishes, plastic resins, and lasers are all viable options that may be considered depending on your sensitivity.